Keeping in mind the precise demands of clients, we manufacture and export a wide range of Men Overall. These are highly acclaimed by our clients. They are available in different colors, sizes and patterns. Our Men Overall are according to the latest trend and safety feature. Further we offer them at market leading prices. Our Grey Men Overall are beautifully designed for all by our professionals. 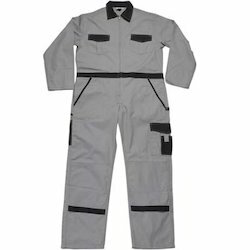 These Grey Men's Overall are appreciable for their durability. They are very comfortable in wearing. 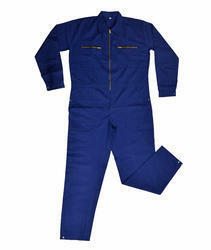 These Men's Overall are made with the quality raw material that ensures that they are 100% wind proof. They have perfect fitting and are available in attractive designs. We are offering Press Stud Front Men Overall which are very useful. These are fabricated of high grade quality fabric and are available in different sizes and variant colors. Moreover, clients can avail this product range from us at reasonable price. Our client can avail high quality range of Zipper Men Overall. It is widely appreciated by the client for its high quality and durability. Our range provide proof against chemicals. We offer our range at market leading prices. 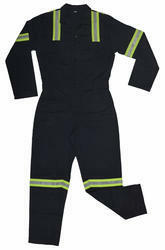 RIB Sleeve Men Overall is a waterproof or water-resistant worn to protect the body. 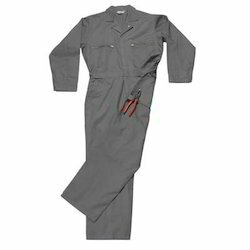 The term RIB Sleeve Men Overall is sometimes used to refer to Men Overall that are Modern Men Overall are often constructed of breathable, waterproof fabrics such as Gore - Tex and coated nylons. These fabrics allow some air to pass through, allowing the garment to 'breathe' so that sweat vapor can escape. Available with us exclusively designed range of Knee Guard Men Overall that are owing to their high end features are also used in industrial purposes. Moreover, our range of Mens Overall are fabricated by high grade raw material and highly acknowledged for attractive designs, durability and non-corrosive handle-stick. 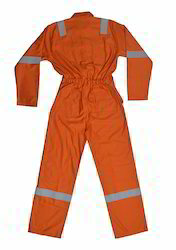 Also, our clients can avail these Mens Overall in different sizes and fabrics. We offer these Mens Overall to clients at attractive prices. We are an eminent name in delivering Industrial Men Overall at clients' premises. The offered range of Industrial Men's Overall is manufactured utilizing high grade raw material and innovative technology by dependable vendors, who ensure to match it with the international quality norms. Along with this, the offered range of Men's Overall is checked on various characteristics so as to maintain its standards throughout. We are one of the leading manufacturers and exporters of Fluorescent Reflective Men Overall. This are manufactured using rubber coated fabrics and is available in different colors. Compared to nylon and plastic, our range is durable and is 100% water proof. 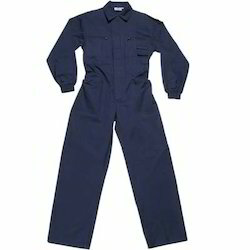 The Men's Overall is available in standard size and is widely demanded. We are a reckoned enterprise, which is engaged in delivering Blue Men Overall to the clients. The offered range of Blue Men's Overall is made by authentic vendors, who ensure to utilize optimum grade fabrics and innovative technology in strict conformation with the international quality norms and standards. 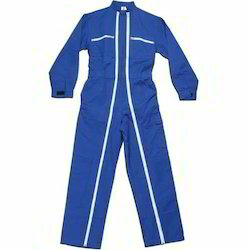 Along with this, the offered range of Blue Men's Overall is known for its appealing designs and specious nature. We are engaged in delivering Men Overall to the clients. The offered range of Men's Overall is made by authentic vendors, who ensure to utilize optimum grade fabrics and innovative technology in strict conformation with the international quality norms and standards. Along with this, the offered range of Men's Overall is known for its appealing designs and specious nature.